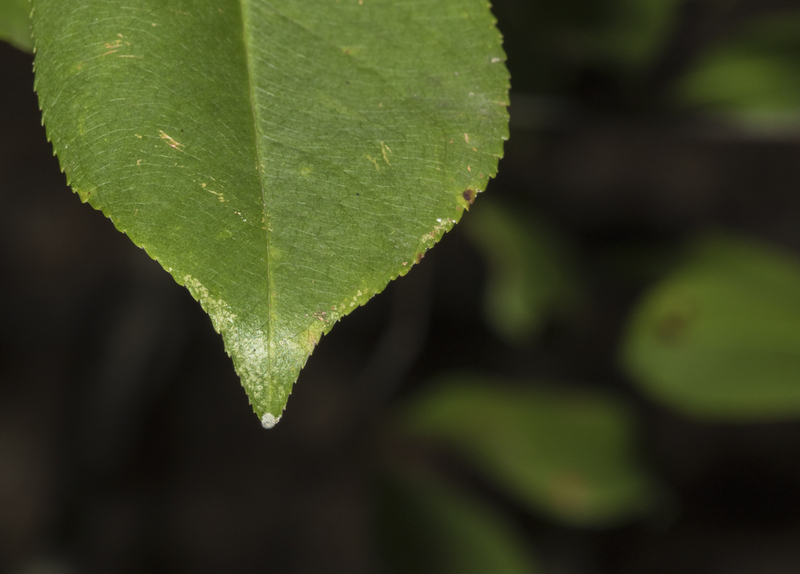 A tiny white blob on the tip of several leaves. This is a sure sign of activity by a female Red-spotted Purple Butterfly (Limenitis arthemis astyanax). 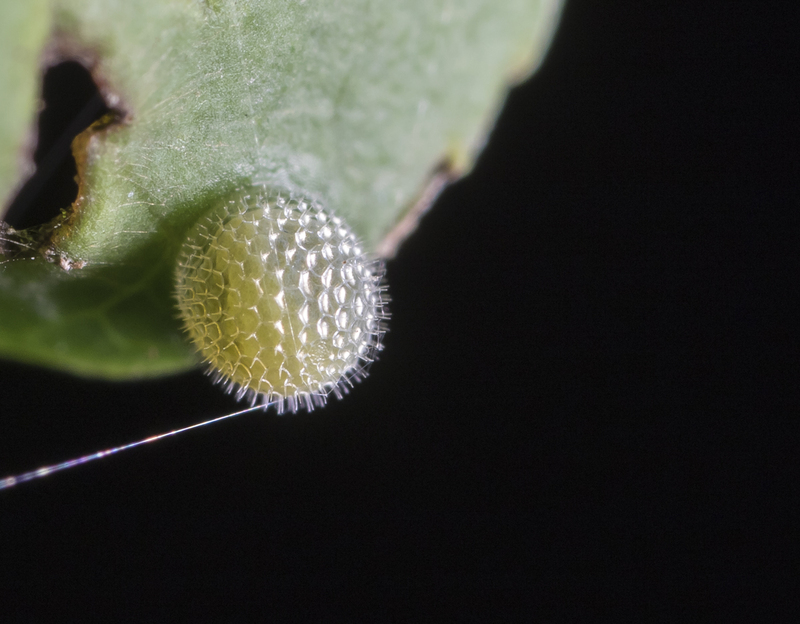 Why they lay on the leaf tip is unknown to me, but it sure makes them easier to find than the eggs of many other species. 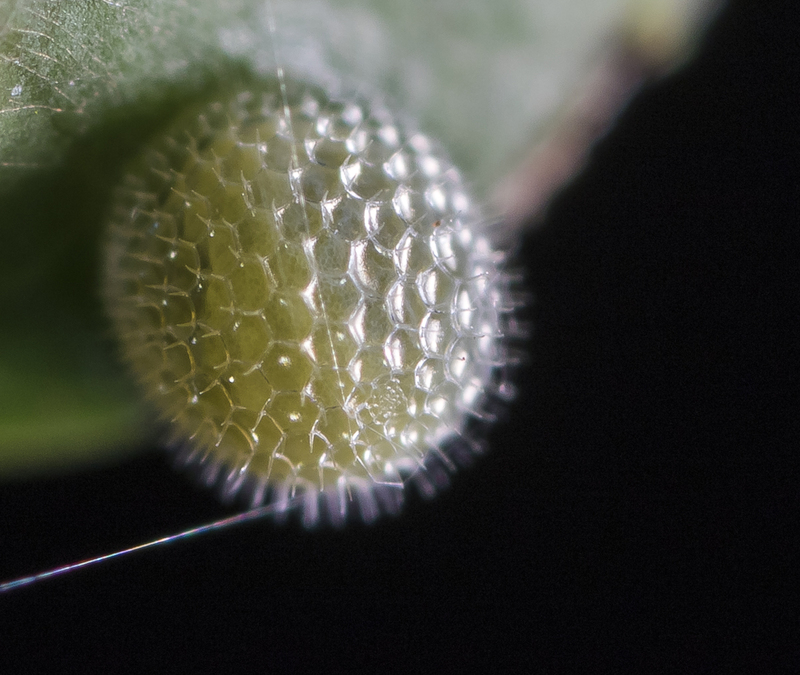 I took a few images with my super macro lens (Canon MP-E 65mm) and you can see the delicate patterning on the egg surface (too bad it is such a shallow depth of field). It is sculptured with small hexagons with spikes arising from the corners. The purpose of this sculpturing may be to increase the surface area of the egg to facilitate the exchange of gases for the developing embryo. Or it may be to make people like me happy when we bother to look closely. The cut-glass delicacy of these eggs, described by Edwin Newman more than a century ago as “a thousand times more delicate and fine than any human hand could execute”, is truly one of nature’s marvels.